Tualatin city councilors declined this week to sign off on an intergovernmental agreement about the future of the Stafford area that involves the cities of Tualatin, Lake Oswego and West Linn. While supportive of the agreement as a whole, the council's vote on the measure ended in 3-3 deadlock. Those in favor: Councilor Frank Bubenik, Councilor Nancy Grimes and Councilor Robert Kellogg. Those against: Mayor Lou Ogden, Council President Joelle Davis and Councilor Paul Morrison. A vacant council seat allowed for the 3-3 vote. Starting in January, Bubenik will replace Ogden as mayor, and Bridget Brooks and Maria Reyes will join the council as new members. Because Monday's meeting was the last of the year, the vote effectively kills the agreement until the new council convenes next month. "I think the three cities should reconvene in January and discuss the IGA a bit to see if we can get a revision that all three city councils can support/pass," Bubenik told The Review. "We need to also reach out to the other cities to talk about how we could all together move ahead with the infrastructure planning study that the (Construction Excise Tax) money could fund so that we have a good idea of what the transportation needs may be in the area based on projected/anticipated growth." According to Tualatin City Manager Sherilyn Lombos, Bubenik has two options: put the IGA back on the agenda in January for the new Council to consider, or convene with the mayors of Lake Oswego and West Linn to address concerns brought forth by Tualatin officials at Monday evening's meeting. Among the issues cited by Ogden on Monday were timeframes and planning issues. He said the IGA doesn't provide a way for cities to do preliminary planning, address transportation needs or determine who might have jurisdiction in different parts of the Stafford area. "I don't feel this agreement does anything to move the ball forward in any substantial way, because you can't talk about it for two years," Ogden said at a Nov. 26 work session. Ogden said he felt it was important that there be a map of "jurisdictional interest" sooner than that. "So for me it's a non-starter," he said Monday night before voting not to sign the IGA. 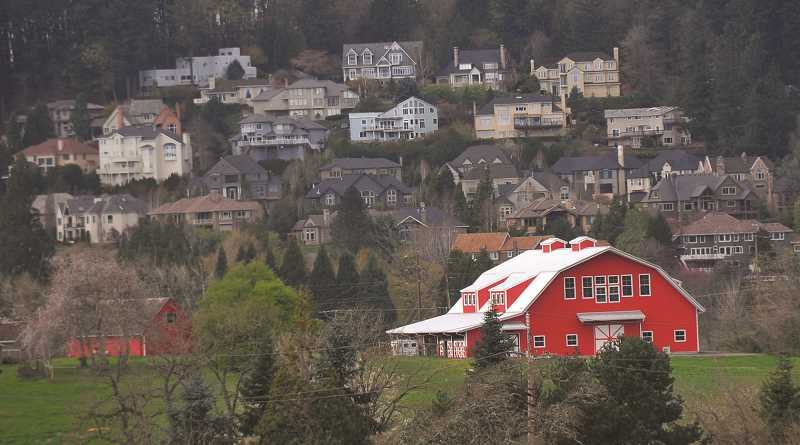 Both Lake Oswego and West Linn city councils have voted to move forward with the agreement. Ogden explained in a follow-up email that in order for the Oregon Department of Transportation to make improvements on Interstate 205 with grant money, the state agency needs input from all three cities, something he said is prohibited because no jurisdictional map can be made until 2020. "It also prohibits any planning to be completed prior to the three conditions addressing I-205 for areas south of the Tualatin River," he said. "It is difficult to understand how we can coordinate the planning of I-205 with the needs of the region if we can't plan the region until I-205 is planned, funded and scheduled for construction. Further, the area north of the Tualatin River is forbidden from completing planning for at least 10 years." Ogden said he doesn't want to stagnate the process, noting that an IGA provides a framework for all three cities to work together, but he said would prefer if an agreement that engages the three cities "in building a positive progression toward adding the ability of the region to serve some of our growing needs in a timely manner." While Ogden has said there is no interest on the part of the City of Tualatin to develop the area, he wants "to make sure the door was open" when the time comes and would like to know which cities have an interest in specific areas of Stafford. While the majority of those present Monday night also testified against signing the IGAl, Lake Oswego City Councilor Jeff Gudman encouraged the Tualatin council to sign off on it, saying the respective cities could talk about the details later. "This agreement provides the framework for going forward," Gudman said. But that wasn't the view of many others at the meeting, including Herb Koss, chairman of the Stafford Landowner's Association. Koss said he had concerns about restrictions on planning north of the Willamette River for 10 years and said the area needed a traffic study. He said any IGA should have a density agreement as part of it as well. "People want to know what the area is going to look like," he said. "I think the boundaries for each city should be determined as soon as possible." Lake Oswego City Councilor John LaMotte was also in attendance at Monday's meeting to testify against the IGA. LaMotte said he's opposed to the IGA as it stands for many of the same reasons Ogden and council members in Tualatin voted against the agreement, particularly the time restrictions regarding when the three cities can begin concept planning and delineating boundaries. "I felt that the discussion and deliberation that took place on the part of the Tualatin City Council was excellent," LaMotte told The Review. "(By signing this IGA), we're just kicking the can down the road longer, and it's been kicked down the road for the past 25 years."